Ray Kurzweil is an author, entrepreneur, and inventor whose contributions include the first print-to-speech reading machine for the blind, the first omni-font (i.e., "any" font) optical character recognition, the first CCD (charge coupled device) flat bed scanner, the first text-to-speech synthesizer, the first music synthesizer capable of recreating the grand piano and other orchestral instruments (so good even professional musicians could not distinuish it from the real thing), and the first commercially marketed large vocabulary speech recognition technology. When he was only 18 years old, Kurzweil appeared on the I've Got a Secret television program in 1965. Ray's famous secret? He had built his own computer, programming it to analyze the patterns in musical compositions by famous composers and then compose original new melodies in a similar style -- a project which won him first prize in the International Science Fair as well as the opportunity to meet President Lyndon B. Johnson as a Westinghouse Science Talent Search winner. 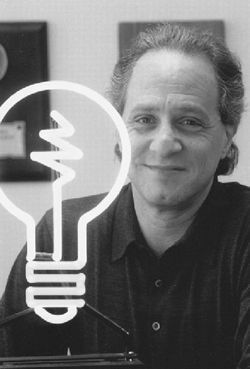 Kurzweil's next invention, and first foray as an entrepreneur, was a computer program that matched up high school kids with colleges. Greater ventures and inventions were to follow, eventually earning him such honors as the Lemelson-MIT Prize, induction into the National Inventor Hall of Fame, the 1999 National Medal of Technology (awarded by President Clinton), the 1994 Dickson Prize, and many other prestigious awards.